Michelle Levesque is Technical Engineering Manager of the Data Technology team at CanmetMINING. She has held the position of Senior Engineer in Mine/Mill Energy Efficiency since 2015, and specializes in developing tools and technologies designed to improve efficiency in the mining sector. Michelle is a chemist and holds both a Master’s degree and PhD in Natural Resources Engineering from Laurentian University. Her graduate research focused on energy management in the mining sector. She also holds the designation of “Certified Energy Manager” from the Association of Energy Engineers. 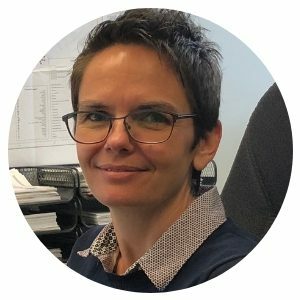 Over the past 20 years, she has acquired work experience in academia and research at Laurentian University, with the Paste group at Golder Associates and as a researcher with MIRARCO’s ERCM (Energy, Renewables and Carbon Management) group.